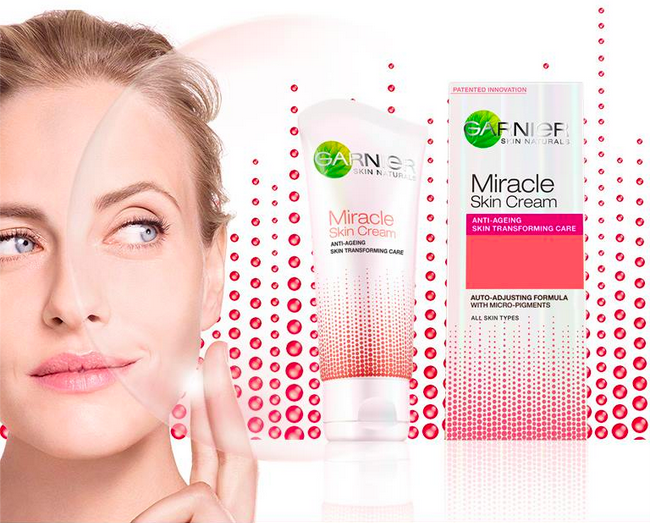 Miracle Skin Cream is Garnier's 1st Anti-Ageing and Skin Transforming care that corrects the appearance of signs of ageing on 1st contact with your skin. Their 1st self-adjusting formula transforms on contact with the skin releasing micro-encapsulated pigments, to reduce the appearance of signs of ageing. - Skin looks flawless, radiant and healthy. - Skin feels smoother, softer and more supple as if transformed. - Skin looks fully rested and more luminous. SPF20 helps protect against premature signs of ageing caused by UV damage. - Wrinkles, age spots appear visibly reduced. - Skin texture appears refined, looks more even. Innovation - 9 PATENTS granted in Europe. Suitable to all skin types and tones. Tested worldwide over 1400 women. A good skin routine starts with gentle cleansing to remove traces of dirt or dead cells and prep your skin to receive the goodness of moisturisers. To renew itself properly, your skin needs the correct environment which includes proper levels of hydration. Good SPF helps protect against premature UV induced signs of ageing. Apply Miracle Skin cream all over your face and see the transformation effect. Make-up can be applied straight after and you can move into your daily make-up routine. While we sleep our body and skin are resting. Applying a good night cream on cleansed skin can help create the optimal conditions for skin's natural renewal processes. AQUA / WATER, GLYCERIN, ETHYLHEXYL SALICYLATE, OCTOCRYLENE, NIACINAMIDE, DIMETHICONE, ISOPROPYL ISOSTEARATE, PTFE, ALCOHOL DENAT., DIMETHICONE/VINYL DIMETHICONE CROSSPOLYMER, BEHENYL ALCOHOL, PHENOXYETHANOL, POLYACRYLAMIDE, PARFUM / FRAGRANCE, AMMONIUM ACRYLOYLDIMETHYLTAURATE/ STEARETH-25 METHACRYLATE CROSSPOLYMER, DISODIUM STEAROYL GLUTAMATE, CETYL ALCOHOL, MANNITOL, PEG-100 STEARATE, ARGANIA SPINOSA KERNEL EXTRACT, DIMETHICONOL, C13-14 ISOPARAFFIN, CETEARYL ALCOHOL, METHYLPARABEN, TOCOPHERYL ACETATE, PANTHENOL, ARACHIDYL ALCOHOL, CAPRYLOYL SALICYLIC ACID, RETINYL PALMITATE, DISODIUM EDTA, LAURETH-7, ZEA MAYS STARCH / CORN STARCH, CARBOMER, CETEARYL GLUCOSIDE, SODIUM COCOYL GLUTAMATE, ZINGIBER OFFICINALE ROOT EXTRACT / GINGER ROOT EXTRACT, HYDROGENATED LECITHIN, LINALOOL, SILICA [NANO] / SILICA, BENZYL SALICYLATE, ASCORBYL GLUCOSIDE, LIMONENE, HYDROLYZED RICE PROTEIN, BENZYL ALCOHOL, GERANIOL, CITRAL, [+/- MAY CONTAIN: CI 77891 / TITANIUM DIOXIDE, CI 77491, CI 77492, CI 77499 / IRON OXIDES]. More like a CC cream than moisturiser. 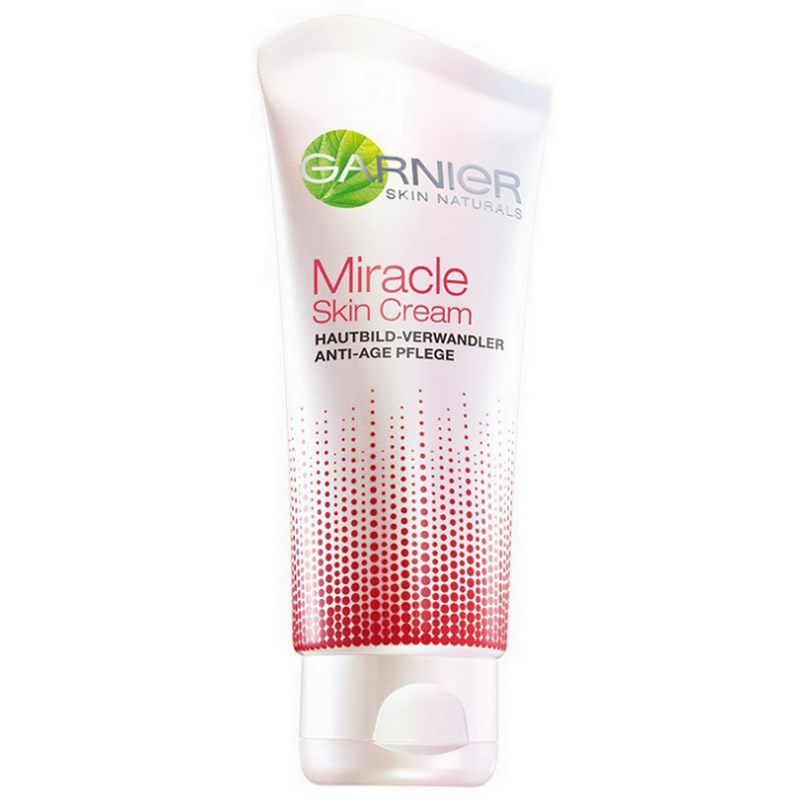 Garnier Miracle Skin Cream won't be replacing my usual moisturiser, but I would recommend it as a CC cream. - Offers slight coverage and a natural colour. - Gives extra coverage when applied under foundation. - More of a CC cream than a moisturiser. - Too drying by itself, but fine when applied after my usual moisturiser. 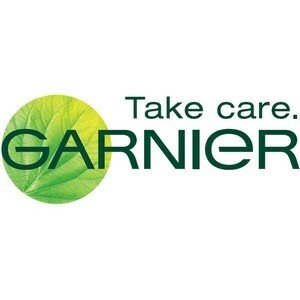 - Garnier states that it's for all skin types, but probably better suited to normal to oily skin. This is more of a CC cream than a moisturiser. It is not hydrating and moisturising enough to be used as a regular moisturiser. Can be used under foundation to give some extra coverage. "Garnier Miracle Skin Cream won't be replacing my usual moisturiser, but I would recommend it as a CC cream."